So whether you are a retailer, commercial car park, council or any other site owner, installing electric vehicle charging station can attract and retain people to your site. Suitable for any site where the driver stays for an hour or longer, AC charging presents a cost effective way to offer universal car charging to all electric car drivers. Capable of up to 130km of range per hour of charge, we offer a huge range of AC chargers to suit any budget. The ultimate in electric car charging technology, DC charging allows compatible cars to charge to 80% at rapid speeds. By performing the rectification inside the unit itself, DC chargers are suitable for high visitor turnover sites, petrol stations, supermarkets etc. Your customers would love you. Electric vehicle charging brings a whole new dimension to the way we think about "fueling". Instead of choosing a destination to fuel your vehicle, now, the fueling station can be where you want to be. Doesn't matter whether it's at the shops, movies, supermarket or cafe, if you're parking your car, then you should be able to charge. That's why JET Charge provide comprehensive advice and services to any property owner wishing to increase the value of their property by offering electric vehicle charging. Contact us today to see how to do it right without spending an absolutely ridiculous amount on hardware and installation. Every site can become an energy hub. If you have electricity, you can now dispense energy to power low emissions vehicles. 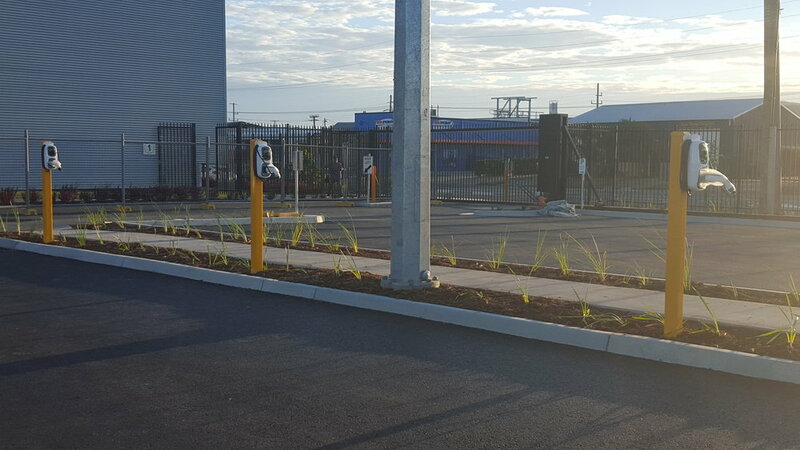 Numerous studies, both in Australia and overseas, have demonstrated that electric vehicle drivers have higher disposable income and are actively on the lookout for businesses that have charging infrastructure. Our recent national rollout for a major shopping centre developer found that on average, an electric car driving patron stayed for 30% longer. Instead of placing ad after ad on traditional channels, try installing a service that will give your site free publicity, and attract a whole new set of buyers. With millions of electric vehicles tipped to be on Australian roads in the next decade, now is the time to get your business into the minds of potential customers. JET Charge supply universal charging stations that can charge any car, regardless of plug type. That means you don't have to worry about electric car drivers having to carry adapters or driving incompatible vehicles. We offer sockets as standard, so your site is not liable for charging cables lying around or getting damaged, especially when cars are not being charged. Your stations will be easy to find on the Chargefox app, which can be used to start and stop charging stations, without needing a key fob. It's modern, simple, and the way it should be. As the fastest growing charging network in Australia and New Zealand, Chargefox allows all electric car owners to find and pay for your electric car charging station. You can then use your private online dashboard to track sessions, report on and monitor your charging station, perform preventative maintenance and carry out over the air firmware updates. You can also use Chargefox to load manage your charging stations and help you make decisions on future investments. Chargefox adds additional value to your charging station.